Give yourself the gift of time to write in a supportive and creative environment. The John C Campbell Folk School has been operating since 1925. 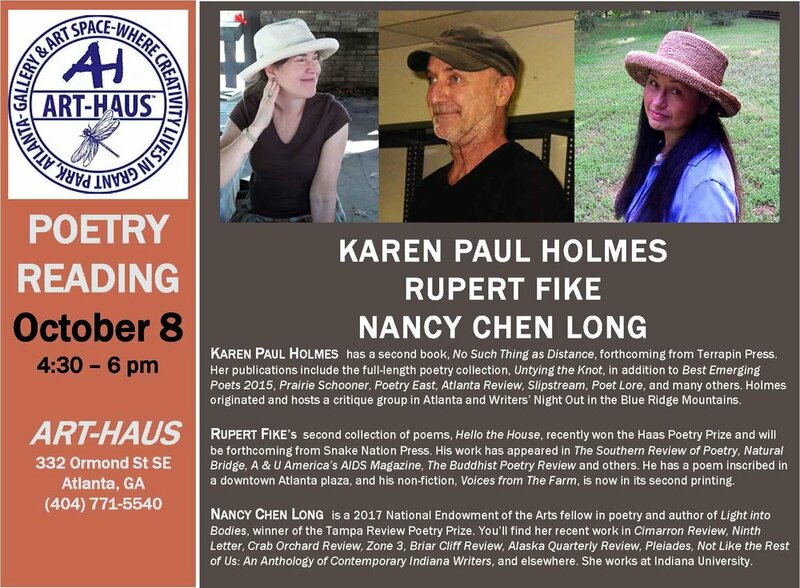 Karen will read from No Such Thing as Distance and also new poems. Jane’s reading will include selections from her new book Blessings of the Beasts, which chronicles her eight years working for President Jimmy Carter. Featuring Karen Paul Holmes. Sponsored by the North Carolina Writers Network-West. I’ll be reading my poetry from 10:20 to 10:40. Georgia Center for the Book poetry series. Come see me at the Terrapin Books table (T536) and take a peak at my new book, No Such Thing As Distance.